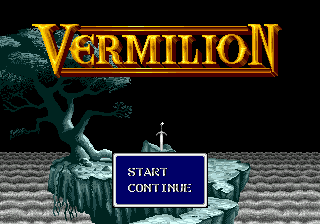 Vermilion © 1989 Sega Enterprises, Limited. Vermilion for Mega Drive was released on December 16, 1989 in Japan. It is known outside Japan as "Sword of Vermilion".